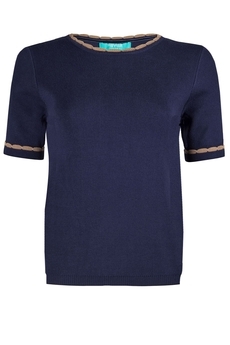 Fever London Mary Knit top is cut in a T-shirt silhouette and feels luxuriously smooth against the skin. With delicate contrast detailing adorning the cuff and neckline this fine-ribbed style has a slim fit and hits at the perfect point on your waist. It simply slips on and is approx. 55cm in length. Winter collection. Composition: 82% Viscose, 18% Nylon. 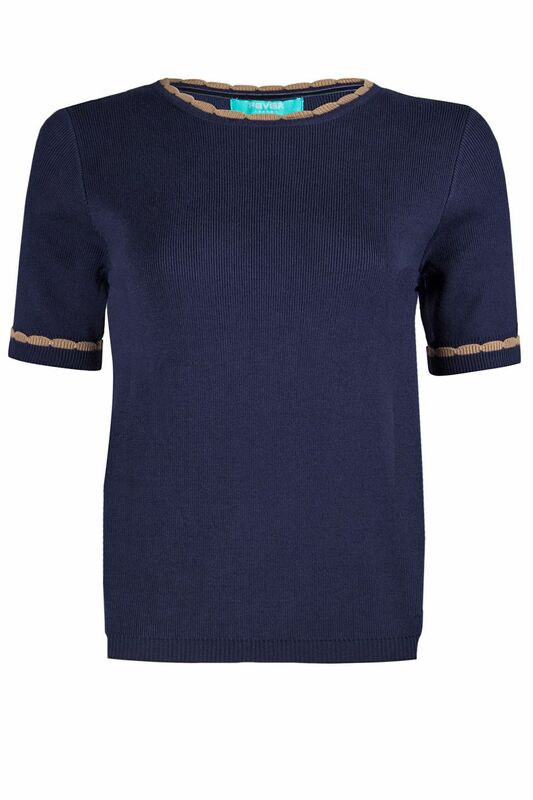 Color: Navy/Timber.